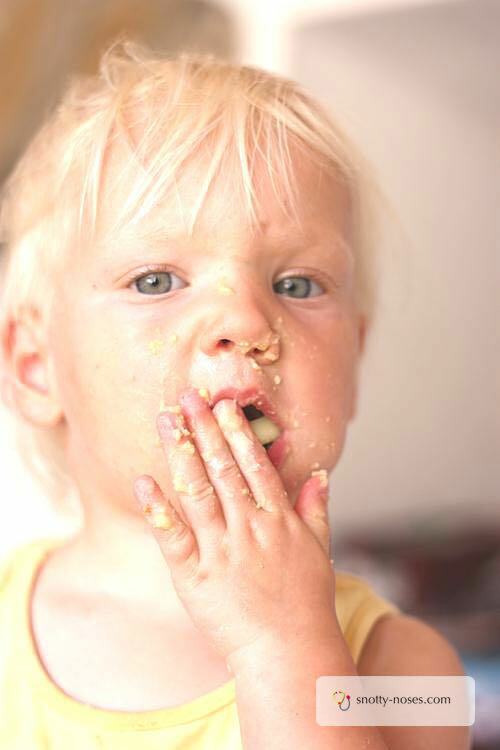 Hummus is a really healthy snack for toddlers. It's high in protein and plant fibre. I make this "baby or toddler hummus" that has no added salt or garlic. It's super quick and great for adults too. You know those days when there is nothing in the cupboard and you just want something really easy, really quick that you know your kids will eat? And you'd quite like it to be healthy too! 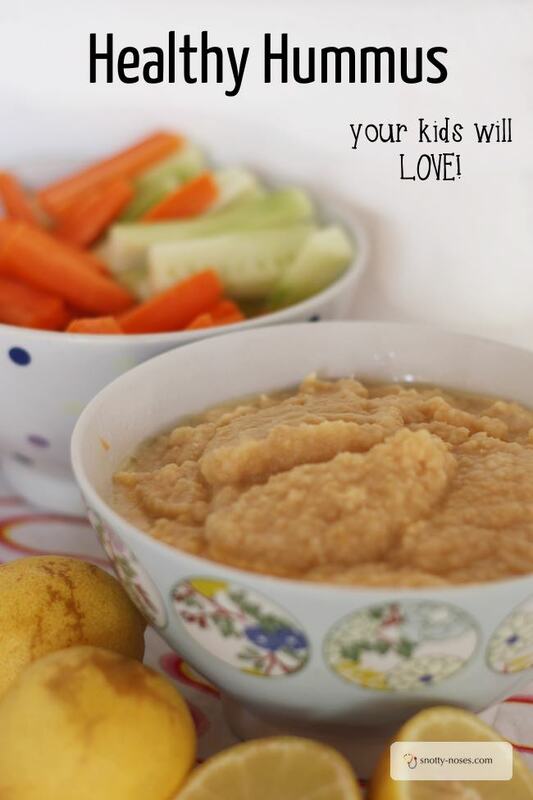 Hummus, is the ideal healthy lunch idea that kids will love. It only takes a few minutes to make and my kids gobble it up. Hummus has the added bonus of going really well with vegetable sticks. The kids love to grab their favourites from a large range then plunge them into a big bowl of healthy hummus. Win win! Hummus is a fantastic lebanese or middle eastern dip made from chick peas. Chick peas are legumes and are high in protein and low in fat. They are a really healthy alternative to meat. My kids love it. When Galen (my oldest) was a baby, he used to clap his hands and do a happy dance when he saw it. At that time, I used to make the proper garlicky version but it was a bit weird having a baby with garlic breath so I often make it without. What I love most about hummus is that it's so quick and easy to make. I've timed myself. 5 minutes to make it and peel and chop some vegetables. It's one of those fail safe lunches that I know the kids will eat without fuss. Lunch time is often one of those 'pressure points' for us. The kids come back from school (we get a 2 1/2 hour break in Spain). They're hot, hungry, really hungry, thirsty and tired. Did I mention hot? In short, GRUMPY. And so are the adults. It doesn't take much to trigger a melt down. And sometimes there's so much fuss before lunch. But I can prepare hummus just before I collect them, put it and the vegetables in the fridge and then whip it out when everyone gets home. Then they can tuck into the hummus whilst I do the rest of lunch, cut bread, get drinks, that sort of thing. Hummus is one of our favourite and 'fuss free' lunches. How do you make Hummus? 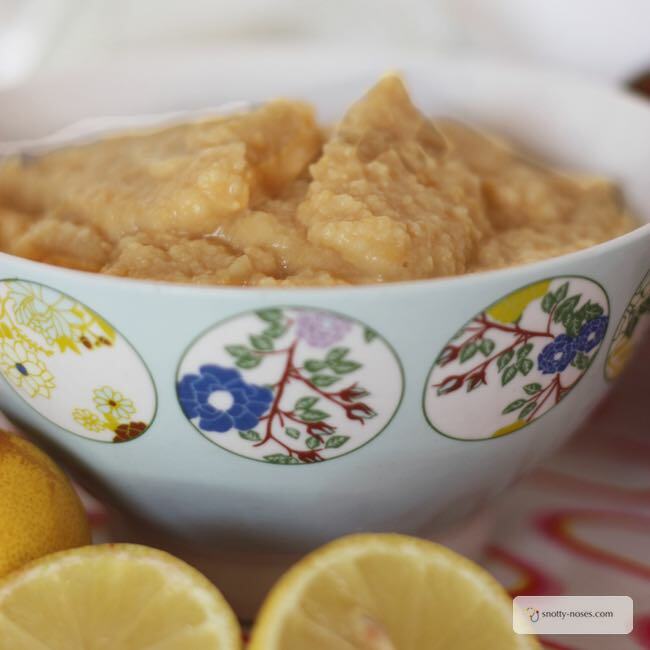 The traditional method is to combine a tin of chick peas (or you can cook your own) with the juice of a lemon, a table spoon on tahini (sesame seed paste), a generous glug of olive oil, garlic, salt and pepper. Whizz it all up and add water to make it the consistency you want. It's so easy and so cheap compared to buying the ready made stuff. Put all the ingredients into a food processor and whizz. You could also add some cumin or paprika if you fancy. Try chickpea and grated carrot sandwiches. Yum! And so healthy.